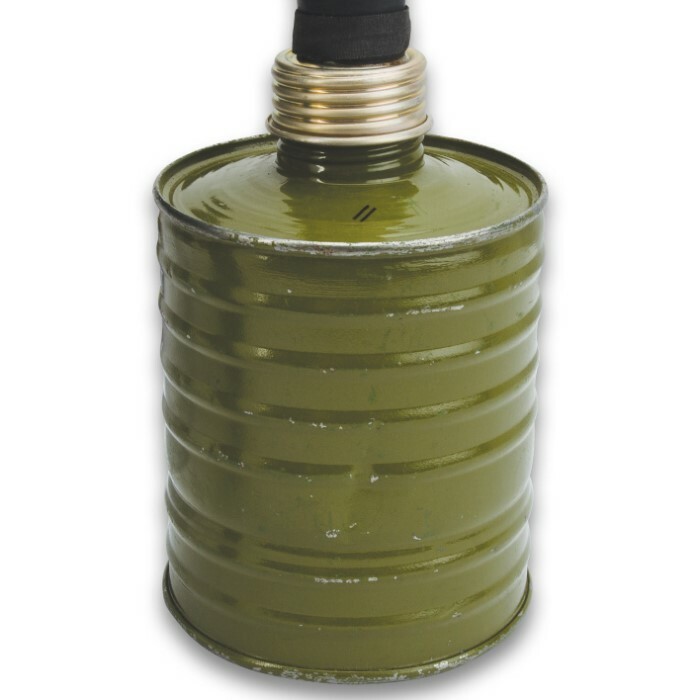 Russian Military Surplus Gas Mask SCHM-41M With Hose | BUDK.com - Knives & Swords At The Lowest Prices! 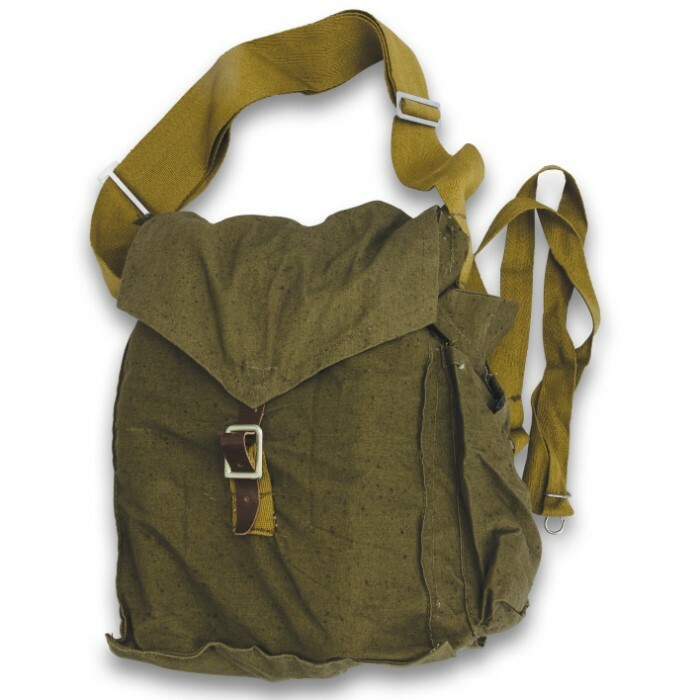 We've found a stash of authentic Russian military surplus gas masks priced to move, and we're passing the savings on to you! 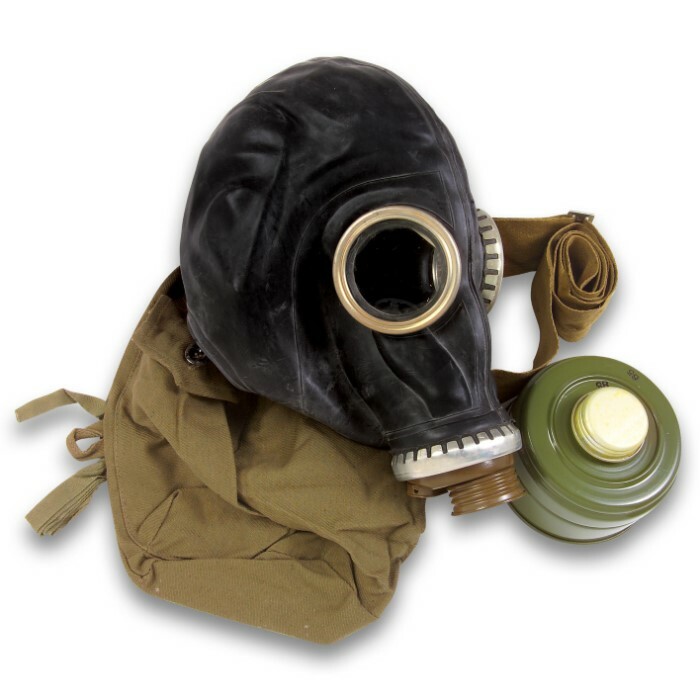 This like-new Russian SCHM-41M gas mask helps to protect the face, eyes and respiratory system against chemicals and radioactive and biological warfare agents in the form of gases, vapors, aerosols and more. Includes bag, hose and filter. NOTE: Although these gas masks and filters may function as intended, the expiration dates are likely exceeded and should be used at your own risk. These gas masks have been tested and DO NOT contain asbestos. Youre gonna have to give it a thorough washing from dirt and such, and its a bit small but all in all it's what I was expecting. Good item but not in very good condition. Although not in the condition I thought it would be in, great for display. 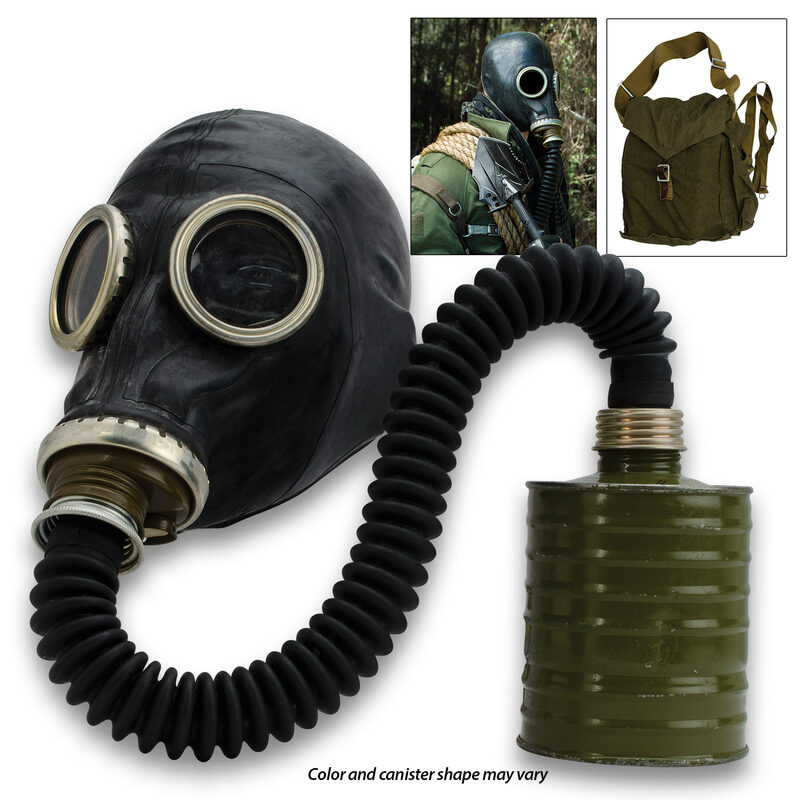 This is a very good gas-mask for the price, it was fairly clean out of the package and fits well. My only concern is there is no lab paper work with the item to prove the old filter is safe. It wold be nice if this mask was available in more than one size, the default size is somewhere between a small and a medium (I have a medium GP-5 gas mask and this one is much smaller). The part about it having "Adjustable rubber straps to fit an adult head" is misleading because this is a standard latex shower cap style mask with no ability to adjust. Still a cool collector piece even though I have no way of wearing it. Came with hose mask filter and bag all intact i checked for pinholes with soap and water and restrictions on the hose ( covering hose w my hand ) no air got through. I was honestly surprised by the light weight . It can make it a bit challenging to see a rifle optic but with training it will get easier. I bought the mask with he Czech helmet, and so far so good. One thing that anyone buying should know is that the mask is made out of plastic and is somewhat difficult/uncomfortable to put on over your hair. I did some research into this kind of mask and it does not contain Asbestos, a substance commonly used in gas masks that causes numerous problems- some of them potentially lethal. It seems like using the filter with it is a bad idea though, because other materials may have broken down in them. I would reccomend this product, however I do wish they had specified the material. I bought this for a WW1 costume, and it looks pretty good with the Czech helmet. Perfet fit for the chubby 11 year old in your family. Goes with the czech helmet like peanut butter and jelly!! The joy of Christmas is not complete without a hyper kid running amok in a helmet and gas mask. As an added bonus its the perfect antidote to any bossy and annoying older sister. 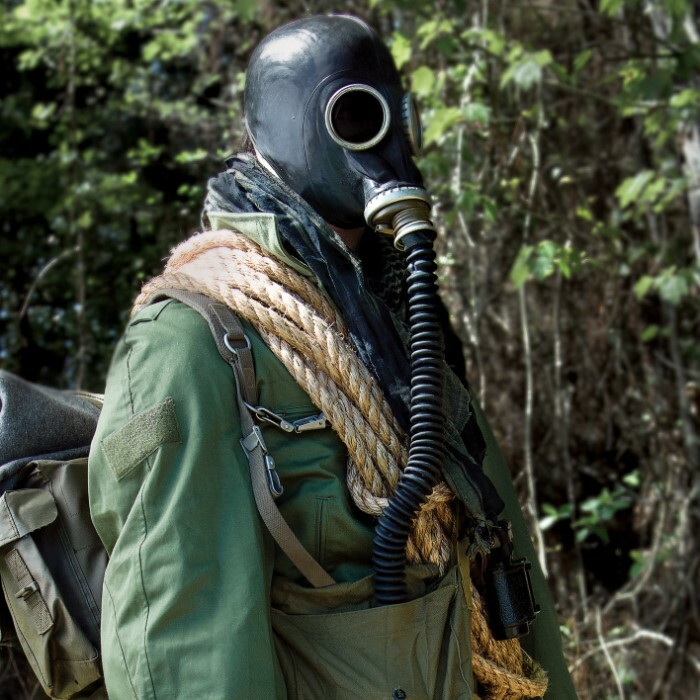 This is the civilian version of the russian gas mask and is compatible with NATO 40mm filters. You will need to discard the filter that comes with it since it is out of date, but the mask, hose and filter bag are totally awesome. I just got the replacement gas mask today Thursday 12-22-16 . Its clean & serviceable too ! Thank you BUDK, and in time for Christmas ! You Guys & Gals are # 1 ! I am very happy ! Merry Christmas & God Bless Us All !